You always have such wonderful interviews! Thanks for sharing this one. I feel ya on never having taking classes and such. Who knew I'd do this--and love it so much--in my old age? Caroline's book cover is cute. Letting a story sit for a while really does help. Letting something sit for a while has proved to be helpful for me. I love the premise of Caroline's book! I've tweeted about the giveaway. I've just picked up a kind-of-old manuscript and started working on it again. It's only a year old but feels ancient to me LOL. I agree, it's amazing how letting even an article sit for a few days makes a huge difference. Thanks for coming by my blog and congrats to Caroline! I've only got one old manuscript in my hard drive and it's just not the time for me to work on that. Another project is calling to me - one that will not be easy. You're absolutely right about fresh eyes - they make a big difference. Jasper's adventure sounds like so much fun! Good luck to Caroline! Congrats to Caroline! I've always wanted to go to Alaska too. Smart advice for writing something historical. I prefer to stay ahead as well. I do that great with articles and stuff. Not so great with fiction. It always helps to hear these stories about long roads to publication with multiple books and rejections - thank you, Caroline! 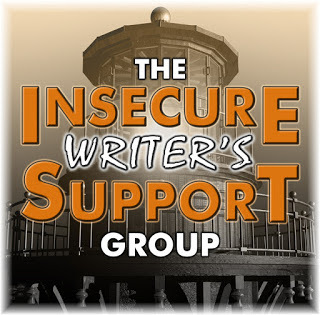 And Natalie, to answer your IWSG question - yes, my debut published novel was an old manuscript that I kept pulling back out and reworking, several times over several years. I believed in it, but it didn't stop me from writing new material as well. You know, Natalie, my first full novel was 140K. It was high fantasy, so 100k is acceptable. I worked it down to 90, even though it never went anywhere. Yet. ;) I think snipping is one of the first lessons we learn. A launch team is such a great idea! I can only imagine the work behind the scenes to put/keep it together! Whew. 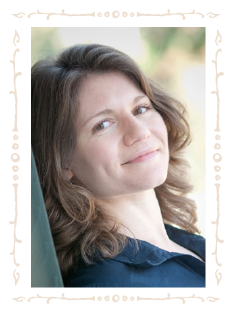 Hi Natalie, It does help to put the manuscript away and pick it up with new eyes after a break. Funny what you notice. Your new release sounds good, Caroline. Congratulations! Thank you for hosting me today, Natalie. Best of luck, fellow writers! Great interview~ I love Jasper and already own a copy, so I'll let someone else win. Thanks, Ladies! There is something rather comforting in having something to start with, even it's an old manuscript you've long ago set aside. At least there's no blank page with that incessant cursor blinking at you when you set out. Loved the interview. Congratulations to Caroline. Wow, I've written a little bit of poetry but writing a whole book in verse is pretty awesome! That's a great talent you have. yes! Fresh eyes help me a lot!!! Congrats to Caroline - this one sounds like another winner!!! Yay, Caroline! So excited for this. You're right. To see your writing with fresh eyes required you putting some time between revisions. Great cover for Caroline's new book - love it. Jasper sounds exactly like the kind of adventure book I read and loved as a kid. And yes, it does help to let a manuscript rest for a while. It will then offer a clearer vision for editing. Hi Natalie. I wish you well in picking up your ms and getting it ready to publish one day! Resting it is a good idea, but not so long you forget what you liked about it which happens to me. I don't have time to read the full interview now. As you know I'm road trippin' in the Aussie Outback and have rare wifi. Catch you later! Great idea about letting articles sit for a few days. It's amazing how your mind can play tricks on you after several days of writing stories one after the other. I enjoyed the interview with Caroline and I like how her book was a family project. I loved this post. The notes about not cramming all of history in and the writer's manifesto... I feel like I need to bookmark that so I can come back again and again. Thank you! Thanks for a great interview, Natalie! I've got several manuscripts that are currently "in the drawer". I'll give them another look when I finish my current WIP. I love historical fiction and I think blending it with a mystery is a great idea. I look forward to reading Caroline's new book! I have a half dozen in the drawer and two I tossed out for good. It helps to always have one to revise while the others are taking a rest. Thanks for the insightful interview. Caroline's new book sounds like both the characters and story are great. Since I haven't written anything new in awhile, all I do is look at old manuscripts. Yes, time and distance does help. More discipline, though, is what I really need. This was a wonderful interview and, even though I am trying not to get more books, I can't resist throwing my hat in the ring for this one. I do love both mysteries and historical fiction. Thanks for the post and the chance to win. I'm a housewife who writes, but I totally love the idea of having full-time job and a family and writing on the side. Because you're living life in reality and getting lots of ideas about which to write. Setting writing aside for a while does help to see it clearer. Congrats to Caroline! What a cute cover! 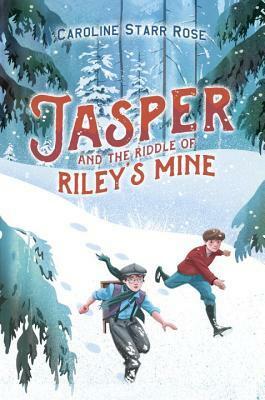 Love JASPER AND THE RIDDLE OF RILEY'S MINE and love learning more about the story behind the novel. I've been following Caroline since even before MAY B. was published. Please don't include me in the giveaway as I was one of those lucky launch team members (and honored to be one). I used to laugh at people who read their work aloud to help with editing. And, now I do it too. Our eyes just read what they want it to say. Congrats to Caroline! When I first started writing, I noticed there were some writers who chose to rework the same manuscript as they learned new things. I was the type who just tossed out old ones and started a new one! This sounds great! MG and historical definitely sounds like a good mix, and the gold rush is something that will sound exciting to kids. I also appreciate the advice about just including enough historical detail to serve the story. I have a finished adult manuscript that I'd love to turn into a YA - someday! Great prize to win and pass on this summer. Jasper sounds exactly like the kind of adventure book I encourage my kids to read. I loved books like this as a kid. And yes, it does help to let a manuscript rest for a while. The gold rush fascinates me. Cool old timey ish cover.